Warts are often associated with witches and frogs. After all, you’ve probably seen more than a few witches depicted with a wart on the tip of their noses, and you’ve heard about that old wive’s tale that claims warts develop after you touch a toad or a frog. But people don’t get warts from frogs or toads, whether they’re a witch or the average Joe, or Jane, as the case may be. The root cause of all warts is the human papillomavirus, or HPV, of which there are more than 100 types. They’re caused by direct contact with HPV, which is contagious and makes skin grow faster than usual. You can get them through skin-to-skin contact, even by something as simple as a handshake, and you can also give them to yourself if you already have one as they can infect through a break in the skin, even tiny scratches, shaving or by biting your nails. You’re at a greater risk of developing warts if you have a weak or suppressed immune system due to illness or immunosuppressant drugs, or if you take communal or your occupation requires you to handle meat. While they’re generally harmless, that can be unsightly, though most will eventually resolve on their own within a year or two. While treatment isn’t always necessary, many people prefer to get rid of them sooner rather than later, as they can be somewhat painful as well as embarrassing. Traditional treatments can be very pricey, such as cryotherapy and other surgical methods like electrocautery, which is an electrical current that burns warts off, or laser treatments, where the beam of light is utilized to remove them. Topical options can come with unwanted side effects like rashes and other skin irritations, blisters, body aches and fatigue. Thankfully, there are lots of home remedies that can be highly effective for getting rid of warts, without the high price tag or side effects. Just keep in mind that before you try any of these methods, it’s important to know whether or not it is really a wart, or something else. Most warts have a broken surface filled with tiny red dots. If you aren’t sure if that’s what it is, you should visit a healthcare provider before turning to one of these home remedies. Tea tree oil is excellent for getting rid of warts as it contains antiviral and antiseptic properties that can fight against the virus. By applying the oil, it will halt the infection and the development of fungi and bacteria to reduce inflammation, redness, and irritation. As it contains a powerful antimicrobial known as terpinen-4, it actually attacks HPV causing warts. It will stop their growth and dry them out so they’ll naturally fall off. To use this essential oil to fight warts first, wash your hands and the area around the wart thoroughly. Then, apply a drop of pure tea tree oil to the wart. Place a bandage over it and leave it on for at least eight hours, or ideally, overnight. In the morning, remove the bandage and clean the area. Repeat the process, placing a fresh bandage on at night again. Continue to follow this process until the wart disappears or falls off, typically anywhere between one and four weeks. Oregano is a popular spice used in many foods, but quality oregano essential oil, particularly oil produced from wild oregano known as Origanum vulgare, offers outstanding therapeutic antibiotic effects. It’s well-known for its bacteria-killing abilities, as well as controlling staph infections. It offers antiseptic, antiviral, antioxidant, antifungal, anti-inflammatory and pain-relieving properties, that make it one of the most effective natural wart treatments there are. The downside is that it can burn a bit, and cause irritation to the skin, but it may be worth it considering that it can burn off even the most stubborn of warts. 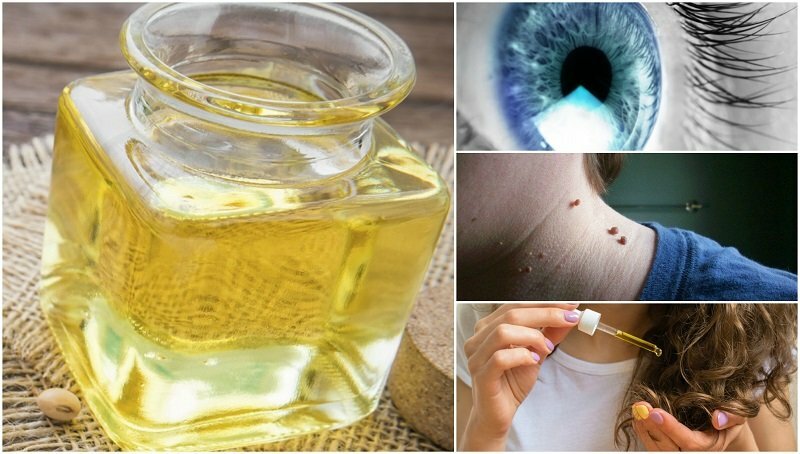 To use oregano oil to eliminate warts, add 4 drops to 2 teaspoons of olive oil first to dilute it, while still maintaining the integrity of the oil. Apply the mixture four to six times throughout the day. You can also place tape over the wart to prevent it from getting oxygen and inhibit growth. After a week or so, you should notice the wart beginning to diminish. As you can see, there are a number of essential oils that are great for eliminating warts, and lemongrass essential oil is another one of them. Studies have shown that it can effectively eliminate the herpes simplex type 1 virus, which is the one that causes cold sores, so it’s not all that surprising that it makes an excellent wart treatment as well. While it hasn’t been tested specifically for warts, many find that it is very effective, and it makes a good alternative if you don’t want to experience the burning sensation of oregano essential oil. Thyme oil can destroy warts of all types, it’s considered an “industrial strength” treatment, and it seriously delivers. Apply two drops of thyme essential oil diluted in a carrier oil after bathing, giving a little extra to the center of the heavily callused area around it. It will cause the surface of the wart to die, and within a few days, you should see that the wart is covered with dead skin. You can rub them off in the shower using a pumice stone. Once you have pumiced all of that dead skin on the surface of the wart away, the dead skin on the surface of the wart, re-apply the thyme essential oil after bathing. Soaking in the bath a awhile helps to soften a callus to make it easier to remove. Ideally, you should do this three or more times a week, and gradually, it will kill the surface of the wart until no more of it remains. Need any of the essential oils mentioned above? The best place to purchase them is from this page on Plant Therapy Essential Oils. An ancient Chinese remedy calls for “smoking” warts away by using a smoke box filled with the smoke from leaves of the Populus euphratica tree, a type of poplar tree, that are burned. While it’s most commonly used for treating plantar warts, it’s also a good remedy for other warts, like warts that develop on the hands. An Iranian study conducted in 2008, found that it was equally effective for treating hand and foot warts as cryotherapy. The recurrence rate was actually better – participants who were treated with the smoke box had a recurrence rate of 4.2 percent, while those treated with cryotherapy had a 32.2 percent rate of recurrence. Find or purchase Populus euphratica leaves and dry them out. Light the leaves on fire in a controlled environment outdoors, and allow them to burn for several minutes. Cover up the leaves so that the lack of oxygen will snuff out the flames. Carefully place the affected area with the wart or warts about six inches over the smoldering leaves. Allow the smoke to infuse the skin where the wart is for at least 15 minutes. Be very careful not to get too close to the embers, and be sure all flames are extinguished. Research has shown that some warts respond well to vitamin C treatments. All you have to do is crush a vitamin C tablet into a powder, and add enough water to make a paste. Apply the paste directly to the wart, and while the area is still damp, cover it or wrap it with a bandage and allow it to remain for a day. The high acidity from the vitamin C is said to destroy the papillomavirus that is causing the wart. The duct tape method, or tape occlusion, sounds weird, but it works! It’s actually a time-honored, and cheap technique for removing those unsightly warts. And, it’s far more pleasant than having warts burned off your body with liquid nitrogen or the other chemicals that are sometimes used to get rid of them. Duct tape is good for almost anything, as you probably know, but wart removal is definitely a surprising one. It’s effective because it blocks oxygen from getting to the wart, stunting its growth. Cut off a strip of duct tape that’s as close in size to the wart as possible. Allow the tape to remain for six days – if it falls off, simply apply a new piece. After six days, remove the tape and soak the affected area in water. Gently rub the surface of the wart down using a pumice stone or emery board. Don’t reapply the tape just yet, leave it off overnight and then repeat the process again the following day, and weekly until the wart has disappeared, but for no longer than two months. Apple cider vinegar (ACV) may have at least as many uses as duct tape and is found in countless home remedies, including getting rid of warts. Although it’s simple, many people have discovered that it really works. It doesn’t actually kill the virus, but its high acidity is said to attack the flesh that makes up the wart, killing it so that it will naturally peel away from the skin. This also takes the virus along with it, which helps to prevent a recurrence. To use this method, you’ll need about 2 tablespoons of ACV, some cotton balls, and a bandage. Soak a cotton ball in the apple cider vinegar. Allow it to completely saturate, and then gently squeeze out the excess liquid so that it is not dripping when you apply it to the wart. Place it over the wart, and then secure it with a bandage. Repeat this every day and it should die and come off within a couple of weeks. Bananas contain a proteolytic enzyme that’s known to eat away at the wart until it’s gone. It actually digests and dissolves it. All you need is a banana peel. Twice each day, scrape the “mush” off the inside of banana peel and apply it to the wart. Wash your hands well afterward to keep warts from spreading. Repeat until the wart has disappeared. Milkweed commonly grows around the world in the wild – it’s probably in your backyard right now, and if not, you should be able to find it in fields or even alongside roadways. While it is toxic if consumed due to the poison cardiac glycoside, it can safely be applied topically. Just don’t let it near pets or children, and be careful not to get it into your eyes. Native Americans used the sap as a natural remedy for centuries as, like bananas, it also contains that proteolytic enzyme that will digest and dissolve it. All you need is a little milkweed sap, which is that milky looking liquid that comes out of the plant. Use a pumice stone to slightly expose the wart, sloughing off a little of the top layer. Now, break a few leaves off the plant, squeezing the bottom of the stem to release the sap. Apply enough of the sap to completely cover the wart. Leave it on and cover with a bandage; repeat once a day until the wart is gone. Organic Manuka honey, harvested in New Zealand, is considered one of the most powerful medical honey’s as it contains a high level of antibacterial and antiviral properties. It’s said to create a type of “occlusion therapy” which essentially means it deprives the wart of oxygen to kill it, similar to duct tape, but easier to remove. All you need is a teaspoon or raw Manuka honey and a bandage. Use a pumice stone to expose the wart and then cover it thoroughly with a thick layer of the honey. Place a bandage around it and allow it to remain for 24 hours, changing out the bandage and reapplying the honey every day until the wart is gone.